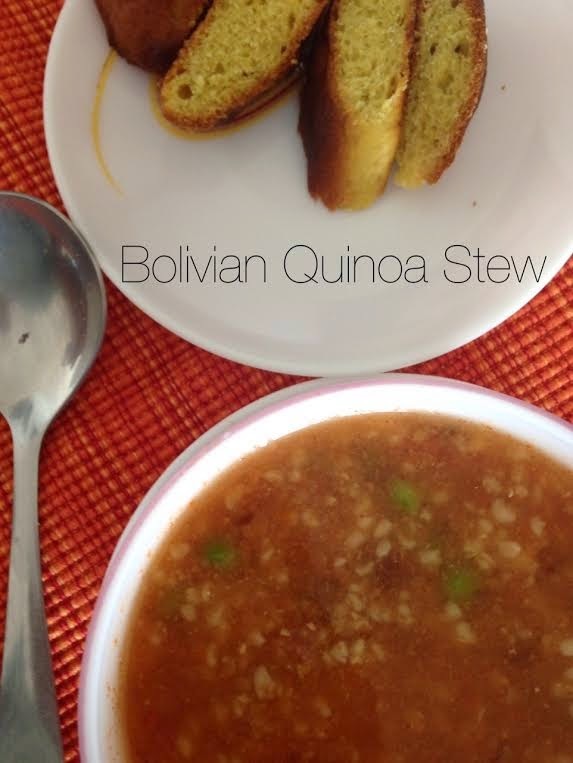 After yesterday’s Sindhi Sai Bhaji, the next one that caught my eye and fancy was Harini’s Bolivian Quinoa Stew . I have noticed over the past few years from Harini, that both of our family's cooking and eating preferences are similar, so I was very keen to select something from Harini’s blog. 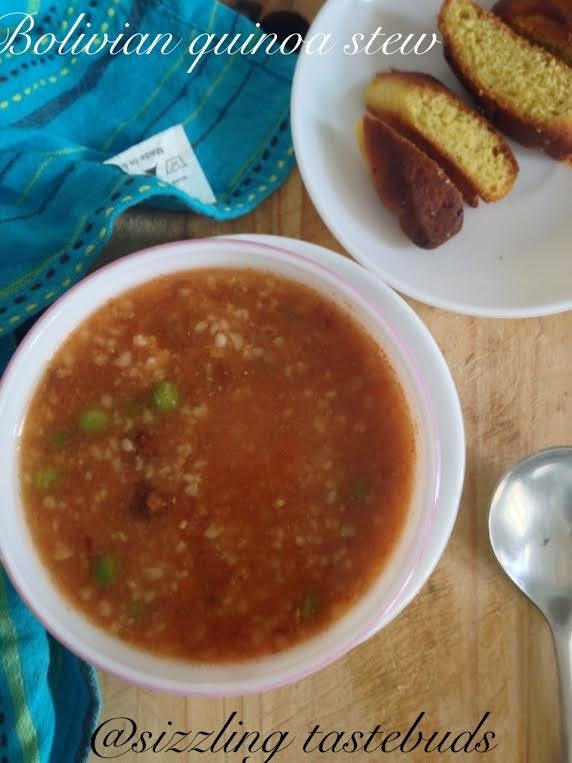 She didn’t sense it had quinoa in it, and sipped it like a broth along with some warm bread for a weekend supper. In a pressure cooker, add oil. Saute onions and bay leaf. Add grated ginger and garlic and sauté till onions turn golden brown. Add tomato puree, bell pepper, veggies and sauté with salt. Add the cooked garbanzo, red chilli powder, jeera –dhania powder, Quinoa, stock, water and pressure cook for 2 whistles. Let the pressure die down on its own. That's clearly something that will be so filling Kalyani..good one..
Could finish that bowl and want more. Yum. Not a fan of quinoa but for anyone who likes it this is a great winter stew. Delicious stew. I will love some in this season. Give me that bowl of stew, i can finish it rite now. A very new dish for me...looks great! Such a hearty & comforting stew. Perfect for this chilly weather. Such an interesting dish with Quinoa. Perfect for cold winter nights.